A healthy and stress-free cow makes for more milk in the tank. 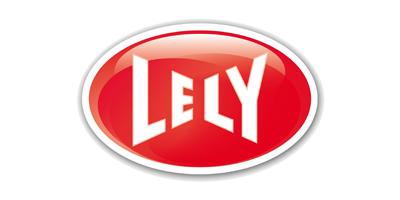 That is why the Lely Astronaut was designed for cows. One of the features of the milking robot is the unique I-flow concept, which provides a straight route for cows. This means that the cows can easily enter and exit the robot when it is time for milking, and can be milked more rapidly, increasing the capacity of the robot. The Astronaut’s Milk Quality Control (MQC) system controls the milk at every milking. It looks at a range of valuable indicators, such as mastitis, fat and protein content, and lactose. This allows you to know each individual cow’s state of health so you can prevent any issues where necessary. You are also assured of top-quality milk in the tank and you save on veterinary costs. Every cow deserves attention. 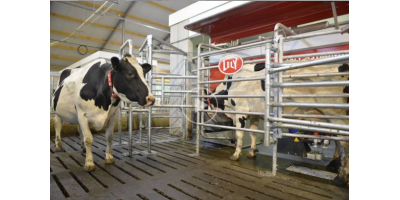 With the Lely T4C (Time for Cows) management system, you can track each cow individually. This system is specially designed for the Astronaut with user friendliness in mind. The T4C InHerd mobile application provides all information on your cows’ health and yield at a glance, allowing you to have all your cows under control and to manage them quickly and accurately. The Astronaut means freedom of choice. You know better than anyone else what is good for your dairy farm. Combine this knowledge with our experience in automated milking. Make your own choices and configure your Astronaut with us, based on your specific wishes. The choice is yours. To be in control of your farm, you rely on reproduction. Get an extra set of eyes when getting your cows pregnant. Add accuracy to reproduction and you will be able to see the cows in heat and inseminate them at the right moment. It will boost your conception rate and will save you lots of time. Healthy cows save costs, time and increase milk production. Get more control on cow health and make the right decisions with advanced sensors and easy to use information. This will secure your revenues. Getting the most out of your production capacity requires optimal interaction between udder capacity, available data and hardware, and being backed up by dedicated professional farm management support. Increase your robot capacity with an extra 10-15 percent, optimize your herd’s production and get more milk in the tank. Feed is one of the main expenses on a dairy farm. Therefore, feed each cow to its actual needs by feeding efficiency. Get the ability to feed more advanced rations even in combination with liquid feed. Grazing is a natural way to feed cows. Get healthy cows out in the field while having full control of your milk production. No reviews were found for Astronaut - Automatic Milking System. Be the first to review!